IMATEC ECO100 inkjet positive plate making film is a kind of high quality polyester (PET) based transparent film for making positive and silk screen printing. 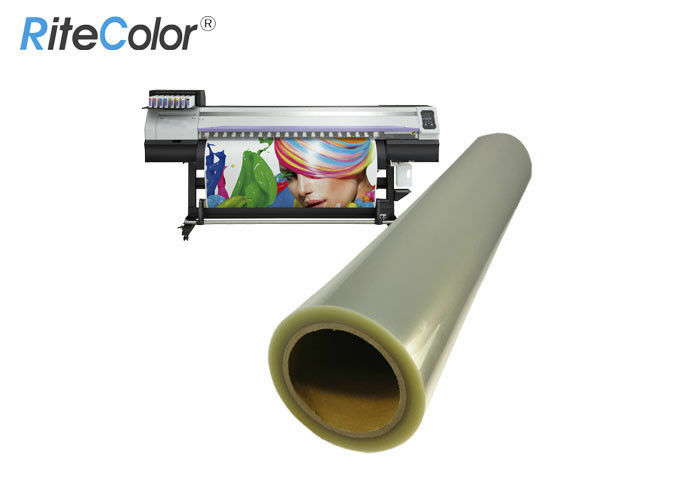 The film itself is clear transparent, waterproof, supporting for eco solvent inks. It can make black, white and color print of plate-making in aspect of newspapers, books, screen, trademarks and textile printing etc.. Packing 1 roll per box, 4/6/9/12 rolls per outer carton. Normally 60 rolls above with pallet. Sample Available, A4 or 24"x3m free sample with freight pre-paid or collection. 7) Lower printing cost than the photographic film. IMATEC offers every client free inkjet positive screen printing samples ahead of time before the order with size prepared in A4 sheets or 24"(0.610m)x3m roll. Certainly, you can inform us your other requests on sample and we'll try to meet it as possible as we can. You may refer to below useful tips regarding to samples.